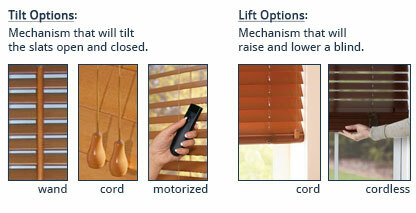 Basic and affordable describes our Phase II 2" Cordless Faux Wood Blinds. Custom made yet at an off-the-shelf price. 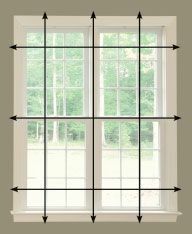 This unique 2" slat size is ideal for doors and shallow windows. A breeze to order, select the color and decide between inside or outside mount then enter your size and you're done! 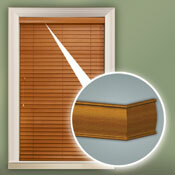 These quality 2" blinds will fit any budget. Did we mention they are also Cordless! 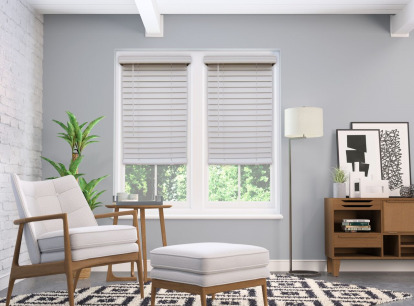 Get the traditional look of a horizontal blind made from modern materials for a durable alternative to wood or metal blinds. The foamed PVC slats provide the look of wood blinds but will never warp, split, crack or fade, making them perfect for any room in the house, even bathrooms and kitchens. Easy to install with all hardware. The Crown Royale Valance is included at no charge. 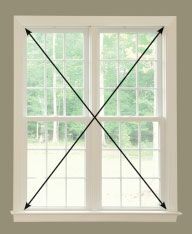 (3 1/4" valance returns included for inside and outside mounts) Cordless with Wand left side ONLY!  Minimum Depth Required for Inside Mount: 2"
Minimum Depth Required for Flush Mount: 3.25"